Prague is one of those places where I think you'd honestly need about two weeks in order to explore it properly. Our trip was 6 days long and while we did manage to see a lot, I could definitely have spent a few more days there. The first thing I'm going to mention in this travel guide is that like Amsterdam (which you can read more about here), you can get a 'Prague Card', which you buy and it gives you either free entry, or a discounted ticket price to many of the main attractions in the city. Unlike the iAmsterdam card, the Prague card doesn't give you free transport, but you can buy a 72 hour transport card for just €12 so it's very inexpensive and the public transport is brilliant. 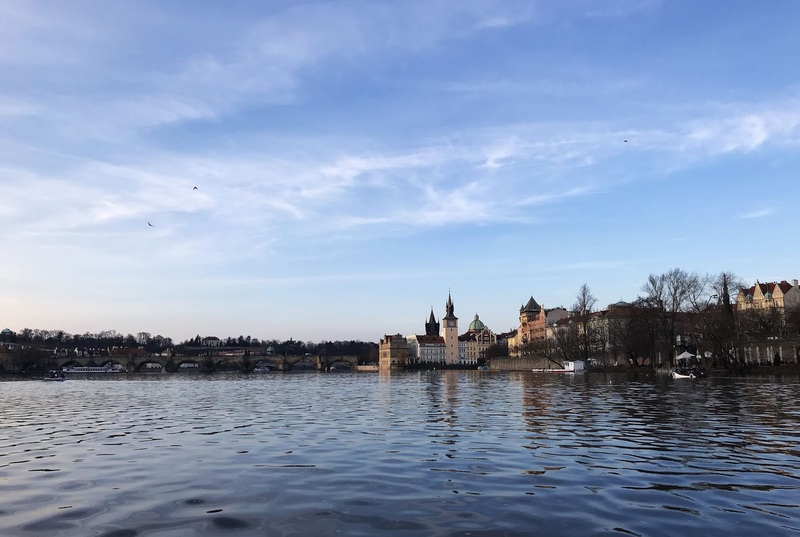 Now those handy tips are out of the way, here are some of the things we saw and did in Prague that I'd highly recommend. I've put this first as it was honestly one of my most favourite things about Prague. 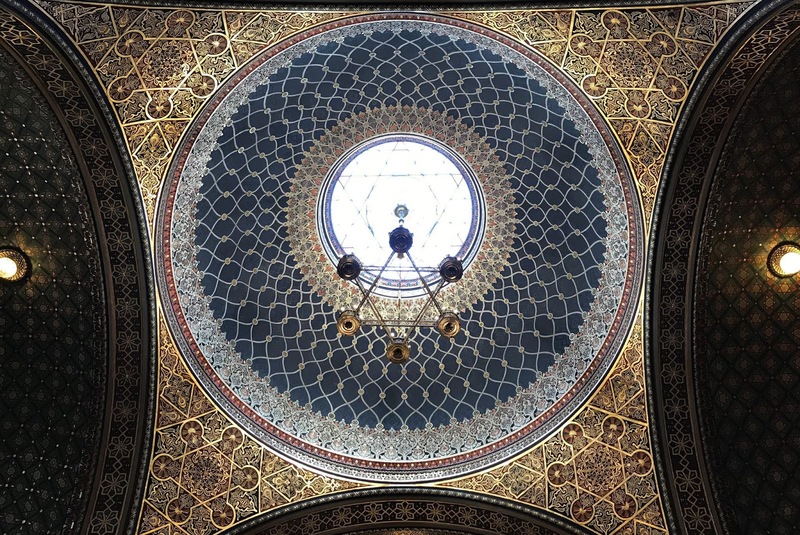 I've never seen such a stunning building and there was a beautiful sense of peace in there, I could have sat there for hours. 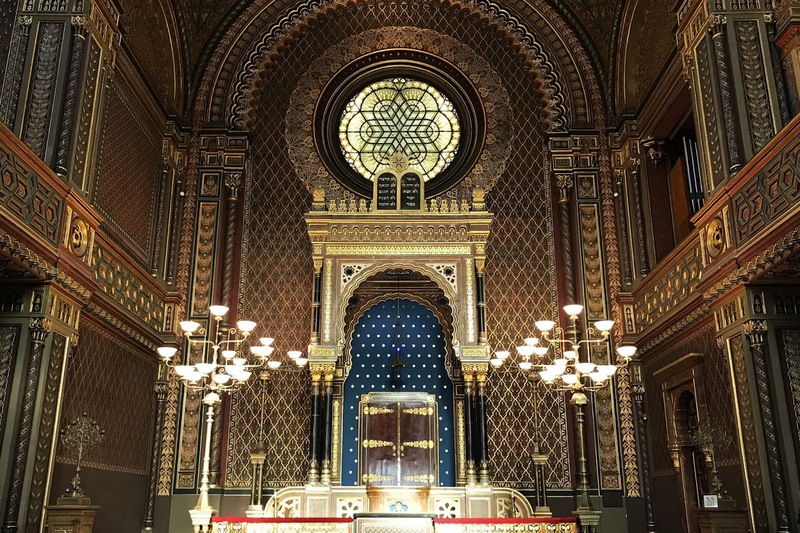 Inside the synagogue is lots of information about the Jewish history of Prague and it's definitely a place to put on your list. Entry was free with the Prague card and it wasn't too far from the centre of the city. There are quite a few places along the Vltava river where you can rent a pedalo and see the city from a different perspective. We went around sunset and it was gorgeous, but there were a few times I thought I was definitely going to end up in the water! The only thing I will say is that we weren't given life jackets, something I didn't even think about until my very lovely (but slightly overprotective) Dad asked us about, so maybe try and find a company who take health and safety a little more serious. Well, I didn't climb it, I took the lift of course, but Dara did climb it and he said it wasn't too far. 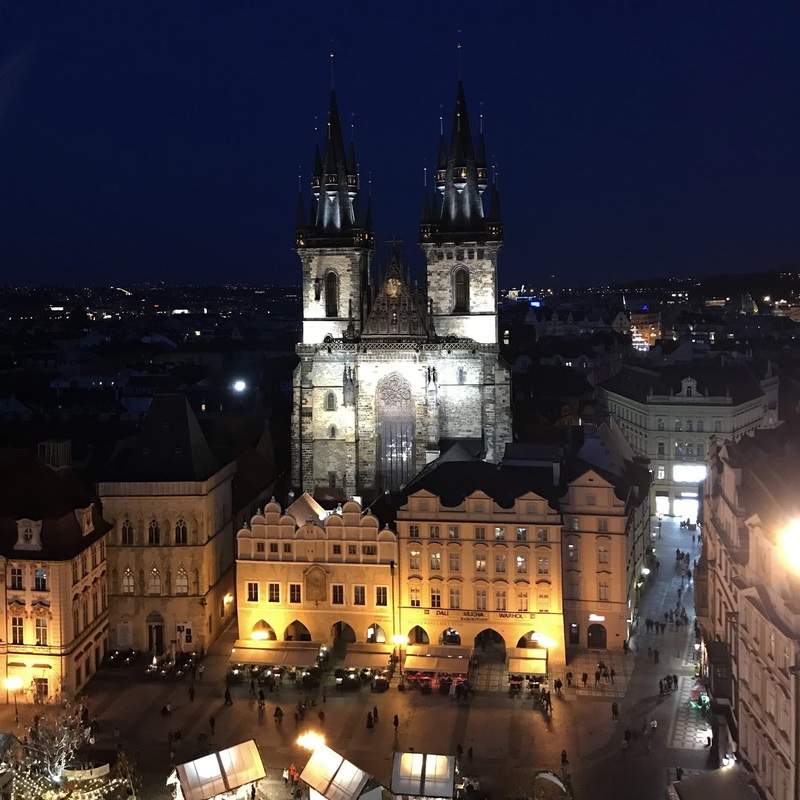 While we were in Prague, they were still carrying out work on the actual Astronomical Clock itself, so unfortunately we didn't get to see that, but we did get to go to the top of the tower and had a stunning few of the Old Town Square. Maybe not the best idea for anyone extremely scared of heights, but the view was so pretty that I ignored the slightly dizzy feeling it gave me. 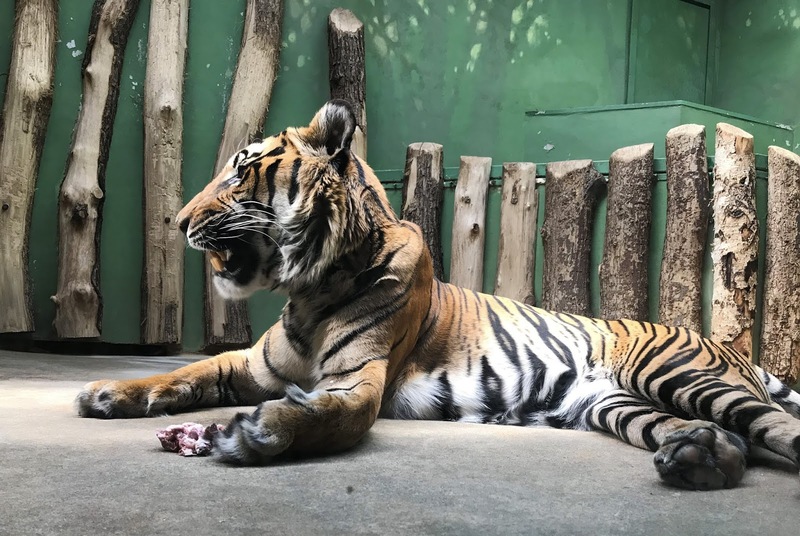 When I posted about visiting the zoo in Prague on my Instagram story, I had a few angry messages from people, especially regarding the tigers but I'd just like to be clear that the tigers had a huge outdoor enclosure, we just got to see them when they were being fed indoors. 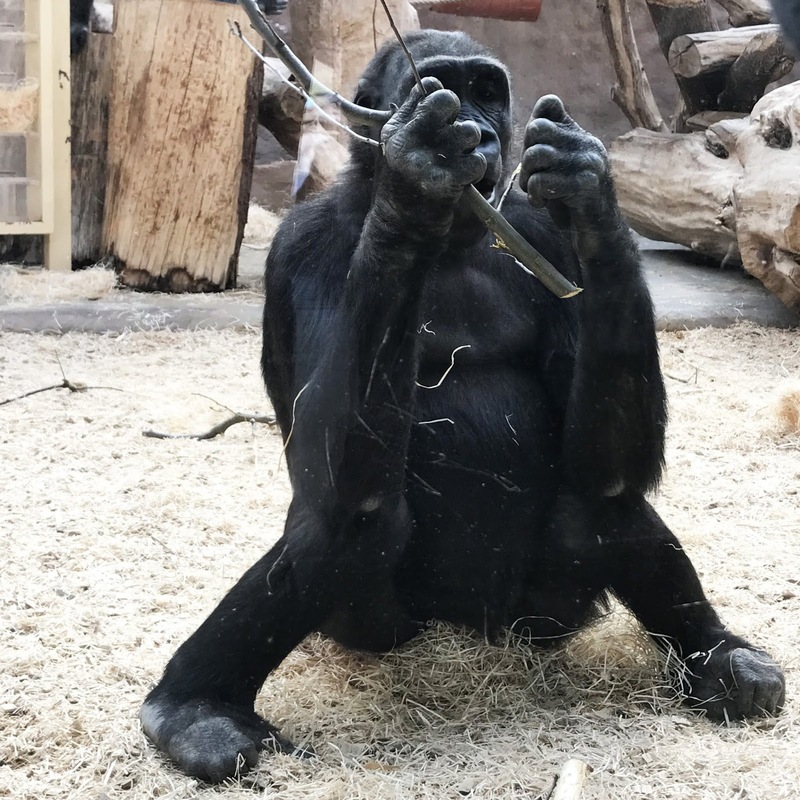 Prague zoo is one of the nicest, most open and animal orientated zoo's I've been too and they carry out a lot of work conservation work which I'm all about. You'd definitely need an entire day to visit the zoo as it's very spread out but it was such a lovely day and well worth the trip out of the city. 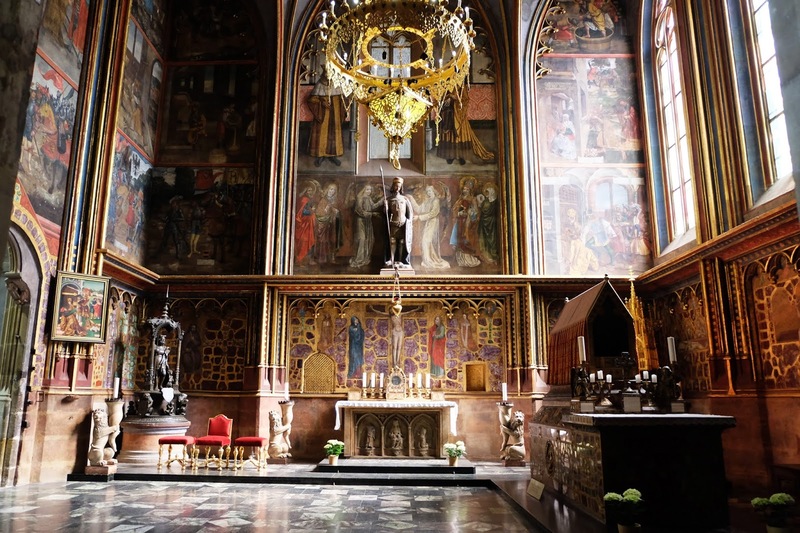 This was one of the places I was most excited to visit in Prague. 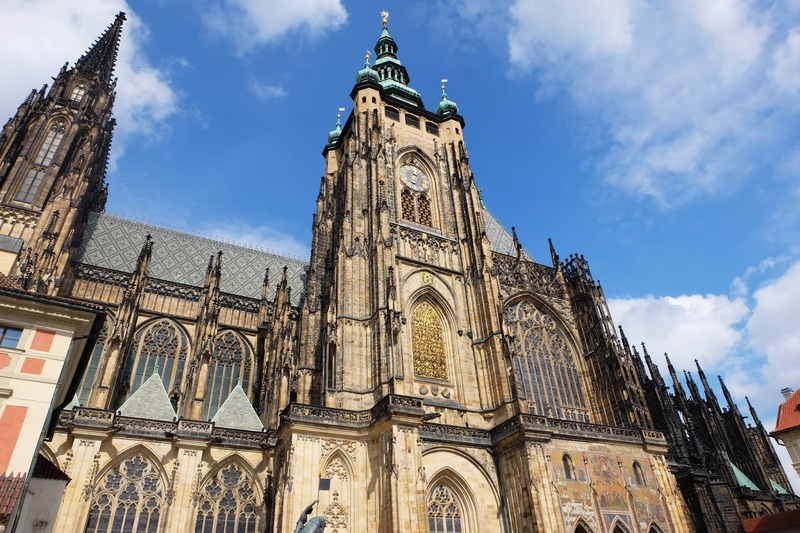 Within Prague castle there is St. Victus Cathedral, St. George's Basilica, and Golden Lane, all steeped in history. Our Prague Card's allowed us entry to all three for free which was great. If nothing else, I would really recommend visiting the Cathedral, and even if you don't want to pay too look around, the ticket barriers aren't at the entrance doors so you can still walk in and have a look. We got a tram right up to the entrance to the castle instead of doing that very long, uphill walk, so always check out Google maps for public transport. 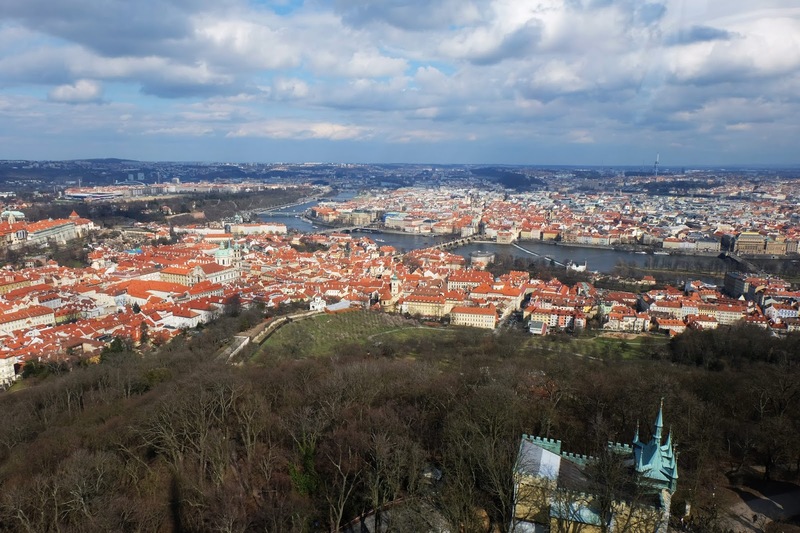 I'm putting this tip in with a fair warning that on a windy day, the Petřín Lookout Tower gets pretty wobbly, which for someone like me who's terrified of heights, wasn't the most fun experience! The views definitely made up for the fear I was feeling though and climbing to the top is a great workout. Up on the same hill overlooking the city is also the The Štefánik Observatory where you can go and look out of their Carl Zeiss telescopes which I found fascinating. Like I said at the beginning of this post, there were definitely a few more other things I would have loved to see in Prague. Are there any you'd recommend that I've missed out from this post? If so, please do leave a comment below. 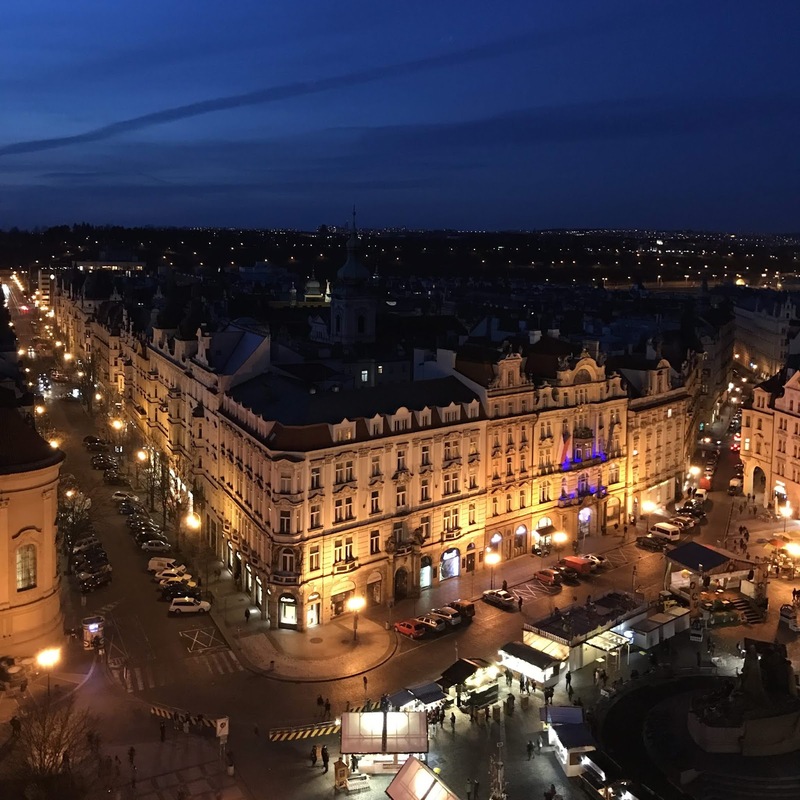 If you haven't already read my food guide to Prague, you can check that out here. Thanks so much for reading!